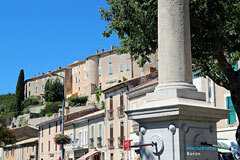 From Forcalquier, take the D950 to the North West, known as the " Route de la Lavande" (Road of the Lavender) ! 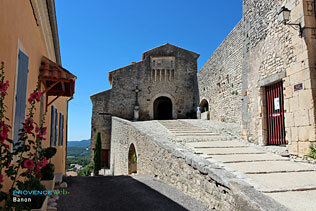 Clinging to the Albion plateau , between the Lure and Ventoux mountains, Banon has kept its authentic and natural character. Surrounded by lavender fields, wheat fields and hills subtly perfumed by local aromatic herbs, the village is a cacophony of bright colours. Banon is a small village made famous by its tasty goats cheese delicately wrapped in a dried cedar leaves and tied with a raffia ribbon. More than 600 000 banon cheeses are made each year from natural milk and following a century old recipe : a small half-dried cheese is rubbed with pepper and then soaked in alcohol. Then it is wrapped in leaves and put in a "toupine" (stone jar) and left to ripen. Eaten with a good glass of red wine and fresh whole meal bread, difficult to resist (... No, impossible) ! 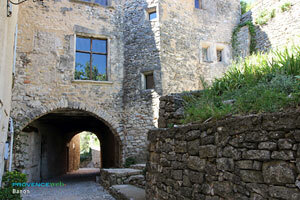 In the village, you'll discover a fortified medieval site. Walking around the village down the old streets you'll see beautiful residences, ancient doorways,sculptured lintels, and classified gateways. 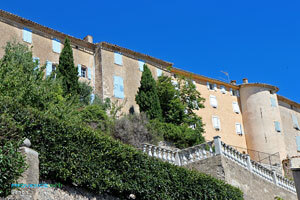 From the top of the village in the square of the former Hôtel-Dieu, there are views across the whole area. 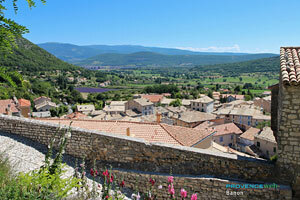 If you happen to visit in summer, the blues and mauves of the lavender spread out around the village of Banon. Remains of the XV° century fortifications and village walls. XIV° trellis doorway. Restored former Hôtel-Dieu. 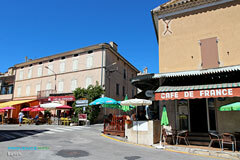 XVI° century houses and arcades. Pilgrimage 15 August to ND des Anges. Village Fête last Sunday in August. 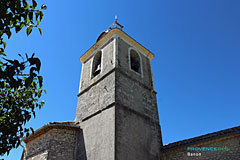 Saumane (7km), Simiane la Rotonde (9km), Montsalier (4km) Revest des Brousses (13km), Forcalquier (25km).